This term, our third-year students are hard at work with a range of collaborative projects, including The Pompeii Project and The Wandering Heath. These student-led projects are part of a new module where they consider the writer’s role as part of a creative eco-system, and literature’s role in the creative economy through working on a collaborative project. 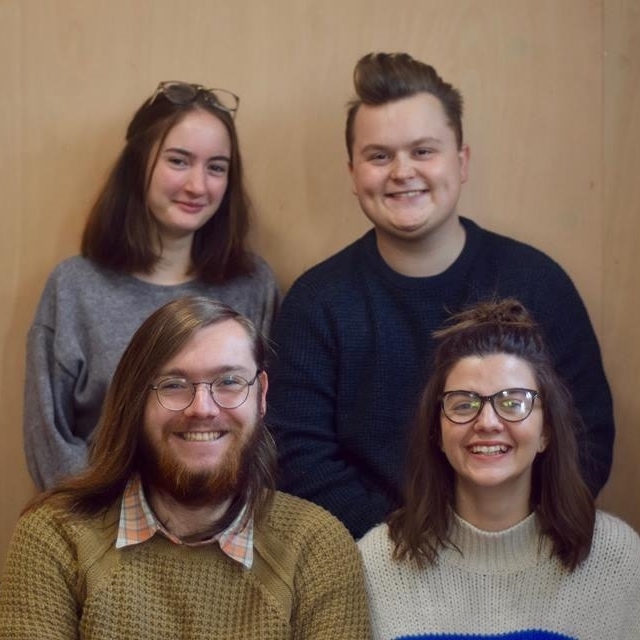 On our third interview, we talked to the Re: Collective about their experience so far. Re: Collective is a movement of writers focusing on perspective and the smaller details of the world. To kickstart this, we intend to release a collection of zines written in the form of journals. There will be three initial editions, each based on the life of a different character in Falmouth. The first series, Re: Falmouth, is a response to the environment in which we live in an attempt to encourage others to look closer at what surrounds them. We have the intention of continuing this project in further editions in other locations around the country (and world). Our project aims to utilise sustainable making practices, from paper to binding, ensure that we reuse, remake, recycle materials. In terms of aesthetics, the construction of each edition will vary in accordance to the character’s personality traits and inspirations. Why did you decide to do this for your collaborative project and what do you want to gain? For our project, we wanted to create something that combines a lot of our common interests: writing, sustainability and creatively observing our surroundings. We knew we wanted to experiment with the zine format: something small and approachable that feels personal and handmade. Our aim for the module is to create three zines that we have written, designed and bound ourselves, establishing our collective which can then extend to other characters in other towns. Now that the brief we laid out at the beginning of the summer is now more developed, we are looking forward to the production process and having a physical product by the end of the term. We recently learnt some basic bookbinding techniques and have spoken to local printers about printing and using different kinds of papers and offcuts. Studying English & Writing means that a lot of our work is creative but only on a screen, so having a physical final product with visual elements included is very exciting. What is next for your project? We hope to continue with the project and extend it to other towns in the U.K. once we graduate and end up all over the country. It is an interesting way for us to explore our own surroundings through the eyes of a fictional character, and hopefully other readers and ‘curious observers’ will agree with us. Are you interested in Re: Collective? You can find out more about this project by getting in touch with the team on twitter. Follow Alex, Gemma, Dan and Maisie to find out more.